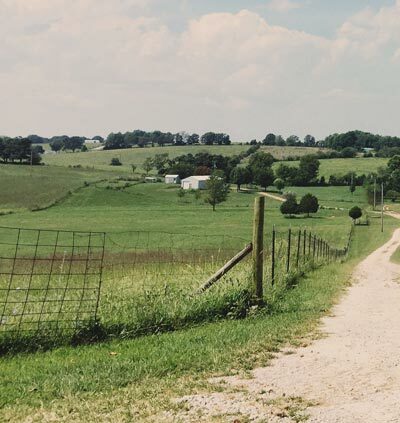 You don't have to look far and you'll find plenty of fences with loose and sagging wire. Which is surprising considering the critical part they play in the success of any farm operation. So, do you have a fence that features loose and sagging wire? Cast your eye along the fence line to the end post. Is it tilting precarious or miraculously rising out of the ground? If you are wondering how to strain a fence that doesn't sag after a couple of months, look no further! 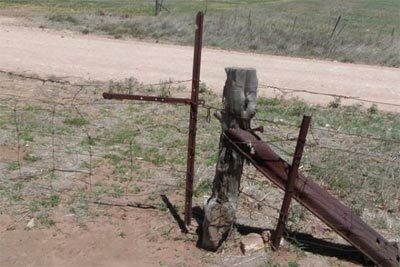 In this guide, we explain some of the reasons fences fail, outline handy farm fencing techniques and what you can do to make sure your steel strainer post assembly stays up for years and years. The three top reasons a fence can fail are; structural failure, soil movement and post pull-out. Structural failure can occur if inferior materials have been used or if the end assembly has been designed/built incorrectly. Some soil doesn‘t have the strength to support the load of a fence; this can often be fixed by installing longer posts. If a post pulls out, it is most likely due to; the post not being set deep enough or the stay not being long enough. What's The Biggest Fencing Oversight? Time. When some fencing is required, materials for the job get priced up. So often, the option chosen is the one with the smallest initial outlay (timber assemblies and welded steel assemblies). ‘Initial’ - yes, because at the end of the job what seemed more expensive all of a sudden becomes the better option. Why? Because it takes less than a ¼ of the time to install. That‘s a huge cost saving, think of what else you could have done with all that time. Why Do Strainer Posts Move? Think of a see-saw, what happens when one kid is heavier than the other? The lighter kid goes straight to the top. The same applies to your strainer post. If the pull of the wire exceeds the pull of the ground, the post moves. This can be prevented by using diagonal stay assemblies, as they cancel these forces out. They bring balance. How Important Is The Diameter Of The Post? It isn‘t (within reason). We recommend 80NB (89mm O.D) or 100NB (114mm O.D) strainer posts. A commonly held belief is that the greater the diameter of the post, the greater hold it will have in the ground. This isn‘t accurate. The depth of the post and the way it’s installed are far more important. What Is The Best Way To Install A Strainer Post? Driving a post in is the superior way. It causes the least disturbance to the soil (which has the job of supporting the post and thus the entire fenceline). Digging a hole, dropping a large diameter timber strainer into it and then backfilling it, is a lot of work for no real gain. The same goes for setting steel posts in concrete. A steel strainer (80NB or 100NB) driven in, will outperform a much larger timber fence post that has been dropped in a hole and then tampered in. Driven posts have a greater holding capacity and are far less affected by vertical and horizontal movement. Why Use A Diagonal Steel Stay Assembly? Because they‘re the easiest, quickest and one of the strongest assemblies you can install. They‘re also fully adjustable, meaning you can’t get it wrong. Where Are End Assemblies Required? The requirement for an end assembly is dictated by a change in the direction of the fence, the topography of the land, or for a gateway. Why Are Strainer Posts So Important? If they fail, then the whole fence will fail. The strainer post is subject to vertical and horizontal forces, so it’s critical that they’re installed correctly. The deeper the post is set, the greater its load capacity. A post set at 1m (42“) has about double the capacity of one set at 750mm (30“). What Length Should My Stay Be? The stay plays a critical part in the holding power of a fence strainer assembly. As a general rule of thumb, your stay should be at least 2½ times the height of your fence. So if your fence is 1.2m (48“) high, then your stay needs to be at least 3m (10’) long. 1.2m x 2½ = 3m (10’). How Far Up The Post Should My Stay Be? ¾ of the way up the post from ground level. 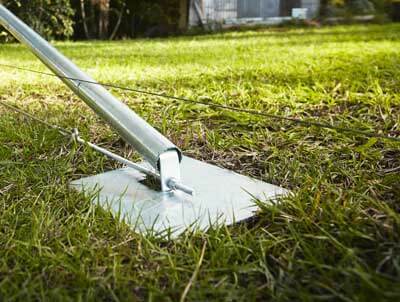 If your post is 1.2m (48“) above ground level, then the best position would be at 900mm (36“). 1.2(m) x .75 (¾) = .9m (900mm). If the angle of the stay is too flat (low) or too steep (high), then it can act as a fulcrum and increase the vertical movement of the post - not something you want. Why Do I Need Adjustment? With adjustment, you can respond to changes in the fence line before they become a problem. Within 24 hours of a fence being erected, it starts losing tension and continues to do so over its lifespan. ​STAYTIGHT assemblies give you control of the adjustment via the tension cable and the post and stay connectors. This is not possible with traditional timber assemblies, a steel strainer post assembly that’s been welded or any assembly that has its stay buried in the ground. 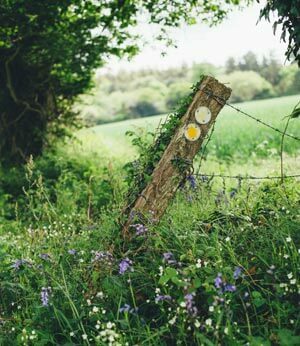 A fence line that is cared for will give you years and years of service, so it makes sense for you to have control of it rather than letting nature dictate it completely. Do I Really Need A Tension Cable? Yes. Without the tension cable, the weight of the fence ends up on the footplate. The tension cable transfers that weight to the base of the strainer post (where it’s needed the most). This reduces the chance of it lifting out of the ground. Plus, with all that weight taken off the footplate, it’s very unlikely it will sink. 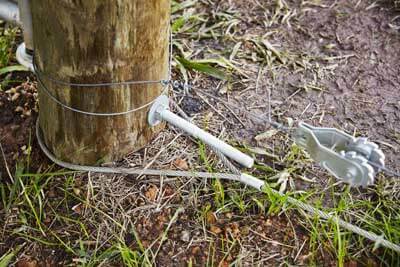 A tension cable wrapped around the base of a timber fence post. Why Use A "Floating" Footplate? Think of an earthquake. Anything that’s anchored to the ground in more than one place is in trouble, whatever is allowed to move with the ground survives. The same is true with a diagonal stay assembly. The only thing that should be fixed is the strainer post. Everything else should be allowed to move with the changing conditions that the fence is put through. It‘s a “floating” footplate because it stays on top of the ground - unpinned. Pinning the footplate down, burying it, or restricting its movement defeats its purpose. The weight of the fence will be on the footplate, exactly where you don‘t want it. A stay set into the ground (even with a backing plate) will fail over time, causing the whole fence to fail. Also, a floating footplate doesn't require any digging to install, so it‘s a real time and back saver! Need A Strainer Post Assembly? Our range of StayTight end assemblies are one of the most versatile and rust resistant assemblies on the market. All of our products are hot dipped galvanised to ensure you have a product that lasts. All of our unique end assembly designs are fully adjustable, quick to install, and designed for strength and reliability.